On June 3rd, The End Records will unleash Rich Robinson‘s third full-length studio album The Ceaseless Sight. We’ve already heard it and we’re totally digging it. It’s got a lovely, earthly sound to it. Super organic and raw, yet also very, very well-produced. Rich’s vocals are soulful but almost sound country-flavored at times, which can also be said of the groovy guitars. And, of course, there’s a sentimental blues vibe to it as well. Definitely one to look out for and we’ll do an official feature review as it gets closer to the release date. 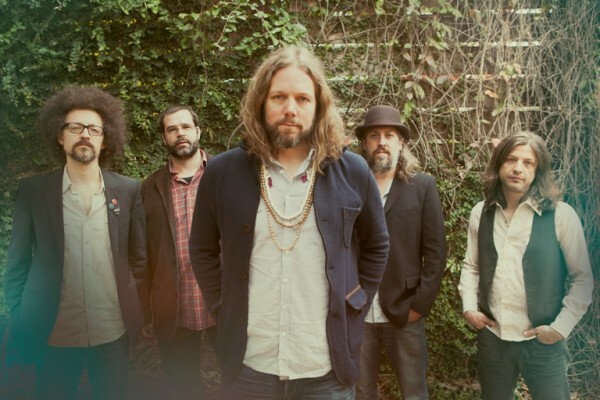 Rich Robinson and band. Photo by Alysse Gafjken.